OUR OVERLORDS who govern the Province of Ontario have decided that pest control products that HAVE BEEN TESTED AND DEEMED SAFE needs to be BANNED by local and provincial governments. Despite their claims, LIBERALS DON’T LIKE SCIENCE. Now, LAWNS AND ROADWAYS EVERYWHERE LOOK LIKE CWAP. This is what you get when you combine BADLY WORDED LAWS, LIBERAL POLITICIANS, and LIBERAL JUDGES. 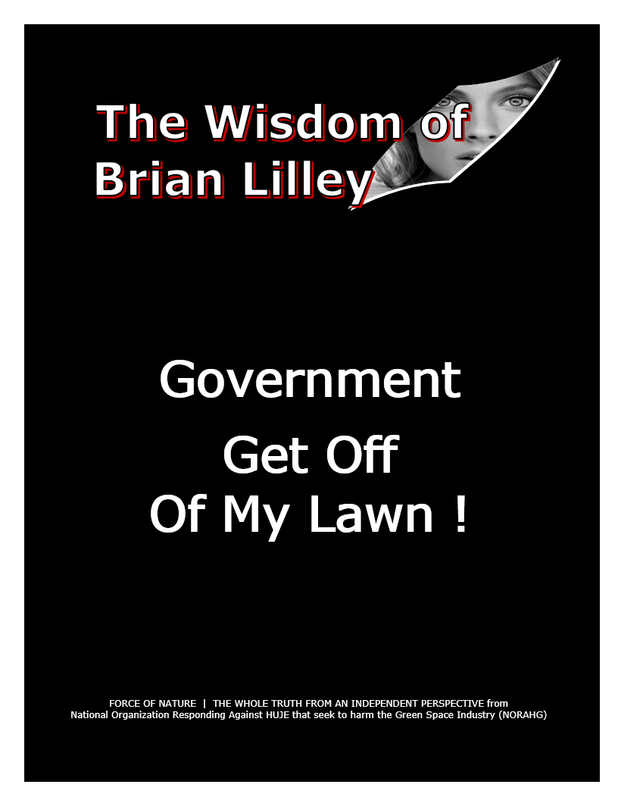 Lilley’s response to PROHIBITION is GOVERNMENT GET OFF OF MY LAWN ! Brian Lilley is among several COMMENTATORS and PUBLIC POLICY EXPERTS who have publicly stated, in one form or another, that pest control products are SCIENTIFICALLY-SAFE, and that ARBITRARY PROHIBITION against pest control products used in the Urban Landscape is NOT NECESSARY. Lilley is a connected journalist who is on the side of Canadians who value their individual freedoms and responsibilities over intrusive government. 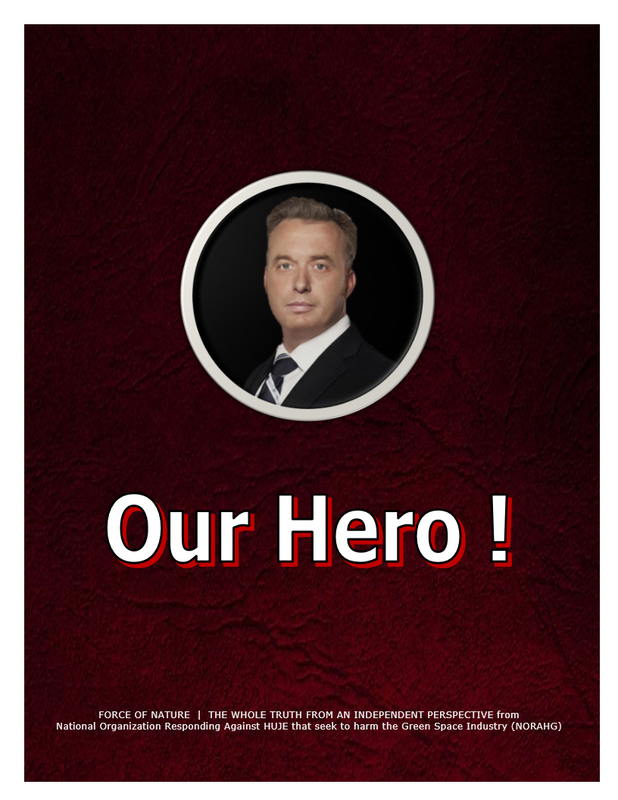 Lilley is the host of Byline on Sun News Network, which showcases Lilley’s irreverent style and his stance as a cultural warrior ― ENOUGH ALREADY ! Lilley is also a Senior Correspondent for Sun Media’s Parliamentary Bureau in Ottawa, Ontario. 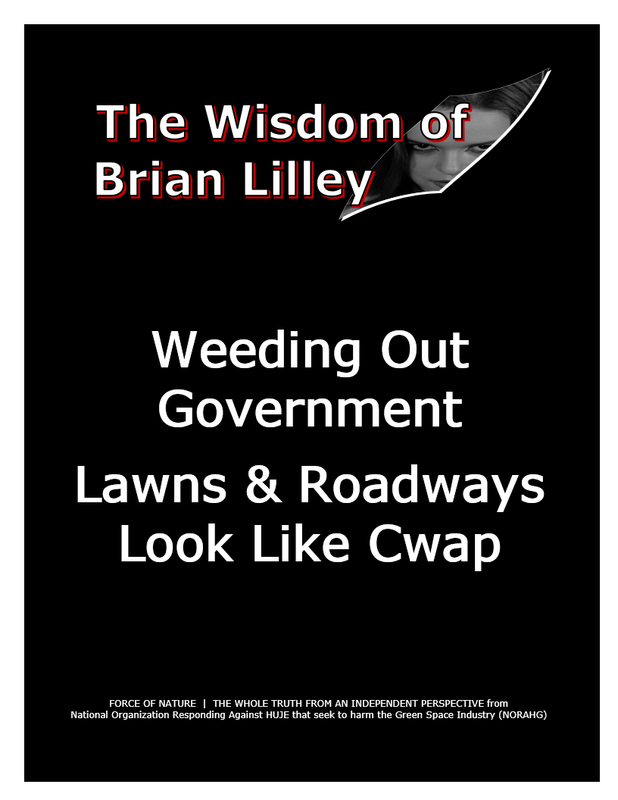 Let Brian Lilley, host of Byline on Sun News Network, tell you what he thinks of [ Ontario’s Anti-Pesticide PROHIBITION ], and what it means to the appearance of his home lawn in Ottawa, Canada’s capital city. It’s been a couple of years since I [ RON HALL ] have written about the SILLINESS OF PROHIBITION that did SO MUCH DAMAGE to the Professional Lawn Care Industry in much of Canada. 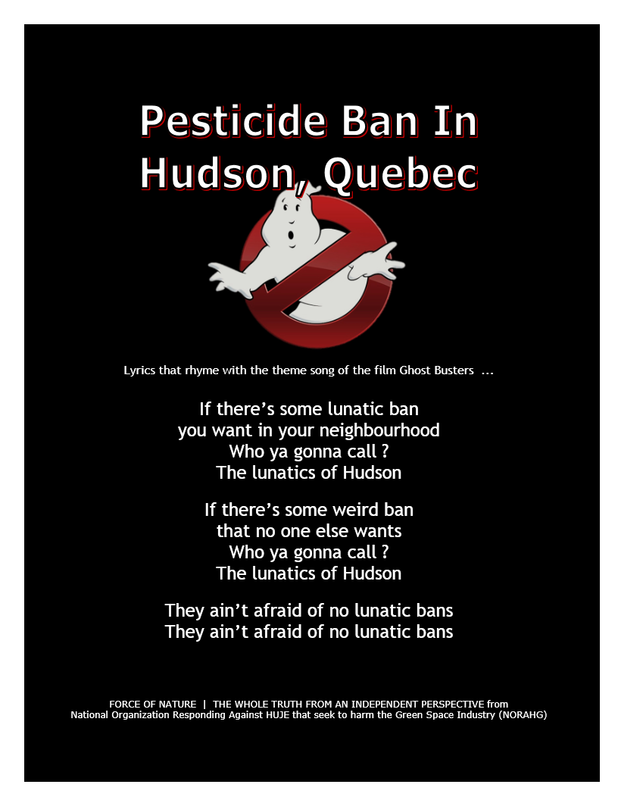 The ANTI-PESTICIDE SILLINESS ( still very much alive ) started in Hudson, a tiny town of about 5,000 people in the Province of Quebec. From what I can gather the town’s only real claim to fame ( or INFAMY, if you will ) lies in being the spark that IGNITED PROHIBITION aimed at the Professional Lawn Care Industry across much of Canada. In 1991 the town fathers of Hudson PROHIBITED several pest control products that were, for years, routinely and effectively used by home-owners and professionals alike to control weeds and insects. After 10 years of legal wrangling between the town and two lawn care businesses, the Canada Supreme Court ruled in favor of PROHIBITION. Then, THINGS REALLY GOT CRAZY. The Hudson PROHIBITION STIMULATED A FLURRY OF ACTIVITY ( which continues ) by FUND-HUNGRY SELF-PROCLAIMED ENVIRONMENTALISTS to add their efforts to protecting Canada’s crabgrass, dandelions, and other unsightly lawn weeds, from further harm. Hey, I’m being intentionally snarky here. Not unexpectedly, these SELF-PROCLAIMED ENVIRONMENTALISTS found political allies who sensed it was in their self-interest somehow to SAVE THE PUBLIC FROM LAWN CARE CHEMICALS. And off to the races we go. OK, enough of my smart-alecky remarks as, admittedly, I tend to get carried away. Do you hate dandelions ? I do, and right now my lawn is INFESTED with them. Unfortunately, there is little that I can do about this because OUR OVERLORDS have decided that something that HAS BEEN TESTED AND DEEMED SAFE needs to be BANNED by local and provincial governments. I was talking about this with a friend the other day when he suggested that the laws against pesticide use would likely be STRUCK DOWN if there was ever a COURT CHALLENGE. He was surprised when I told him they had been challenged all the way to the Supreme Court. In a landmark ruling authored by an Anti-Pesticide Judge, Madame Justice Claire L’Heureux-Dubé, who was one of the most liberal and ideological judges ever to sit on the bench, a local town’s BAN ON PESTICIDES was upheld by the FLIMSIEST OF REASONS. The Town of Hudson, Quebec, had passed a by-law saying that it was ILLEGAL to use any herbicide or pesticide for aesthetic purposes. No nice looking lawn for you, Buddy. When the law was challenged, L’Heureux-Dubé upheld it based on part of Quebec’s Cities and Towns Act which gave municipalities the power to pass by-laws for the « general welfare » of the population. Now you can bet that if the by-law had been to BAN brothels or heroin shooting galleries that this flimsy provision of law would NOT HAVE BEEN ENOUGH to uphold a BAN. But on a federally-tested and approved ― and legal ― product, BAN AWAY. Since that court decision, MORE BANS HAVE BEEN PASSED. This is why the push for LIMITED GOVERNMENT is so important. No one in their right mind would have written an act that told Quebec’s cities and towns that they can pass any legislation for the « general welfare ». This seemingly innocuous phrase can have real impact and power, and that’s why all such phrases need to be weeded out wherever they are. That’s why we need to fight for and elect politicians at every level that actually understand what the term LIMITED GOVERNMENT means. 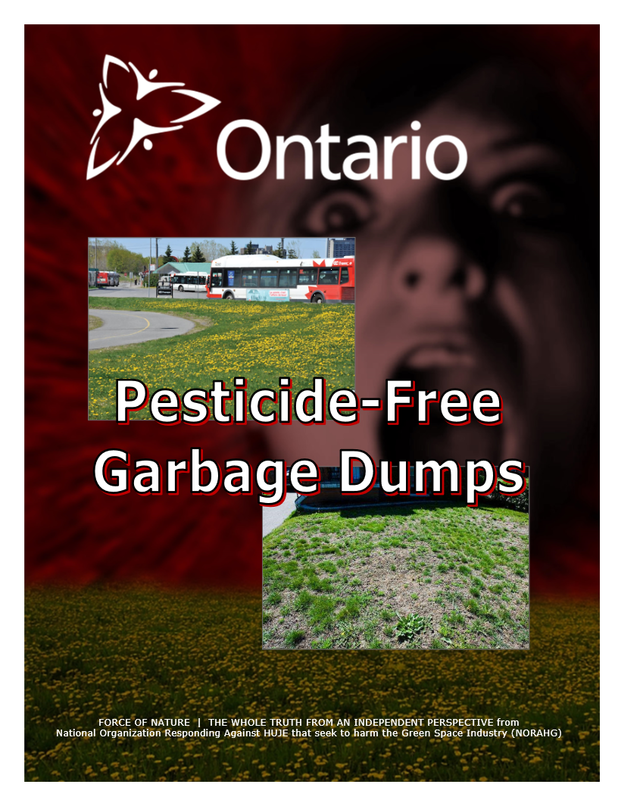 On April 22nd, 2009, the Government of Ontario IMPOSED ARBITRARY PROHIBITION that turned public and residential Green Spaces into DANGEROUS AND PEST-INFESTED GARBAGE DUMPS. Our parks are DISGUSTING. There are a few areas where they spend more money on organics, and they’re trying to keep the playing fields pretty decent. But other parks, like where you take dogs for a walk, ARE ALL WEEDS. THERE IS NO GRASS LEFT. It’s A SEA OF YELLOW IN THE SPRING-TIME. There are more than 300 Weed Man franchise dealers providing Professional horticultural services across Canada, the USA and in the United Kingdom. The ONLY product that is ARBITRARILY PERMITTED for the treatment of weeds in Ontario is Fiesta Herbicide, which may be ALMOST TOTALLY INEFFECTIVE on most weed species. Green Alternative Pesticides like Fiesta ARE INFERIOR, DO NOT WORK, and are STUNNINGLY EXPENSIVE. In 2011, an Ontario POLL showed that the public REJECTED PROHIBITION, and MORE THAN HALF of Ontario residents believed that the provincial government DID NOT DO THE RIGHT THING BY IMPOSING PROHIBITION. Ontario residents WOULD RATHER HAVE THE BAN SCRAPPED OR MODIFIED, and NO ONE WANTS THIS #@! !% BAN NONSENSE. In Ontario, ARBITRARY Anti-Pesticide PROHIBITION also DESTROYED the Professional Lawn Care Industry. 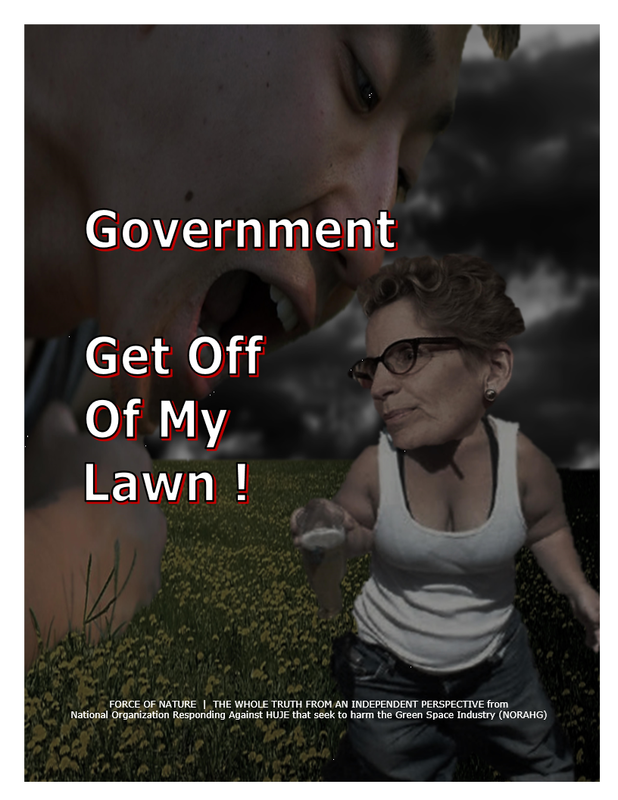 Because of the 2009 PROVINCIAL PROHIBITION, businesses operating in the Professional Lawn Care Industry were DESTROYED, with LOSSES OF OVER 500,000,000 DOLLARS, with up to 12,500 UNEMPLOYED. ONE-BUSINESS-PER-WEEK DISAPPEARED INTO TOTAL OBLIVION, and, by 2012, HALF THE BUSINESSES CLOSED THEIR DOORS. Who ya gonna call ? Hudson is a small isolated ghetto-town of a frustrated Anglophone minority located near Montreal, Quebec. Hudson was/is governed by a SUBVERSIVE GROUP OF CORRUPT LUNATIC GOVERNMENT OFFICIALS. 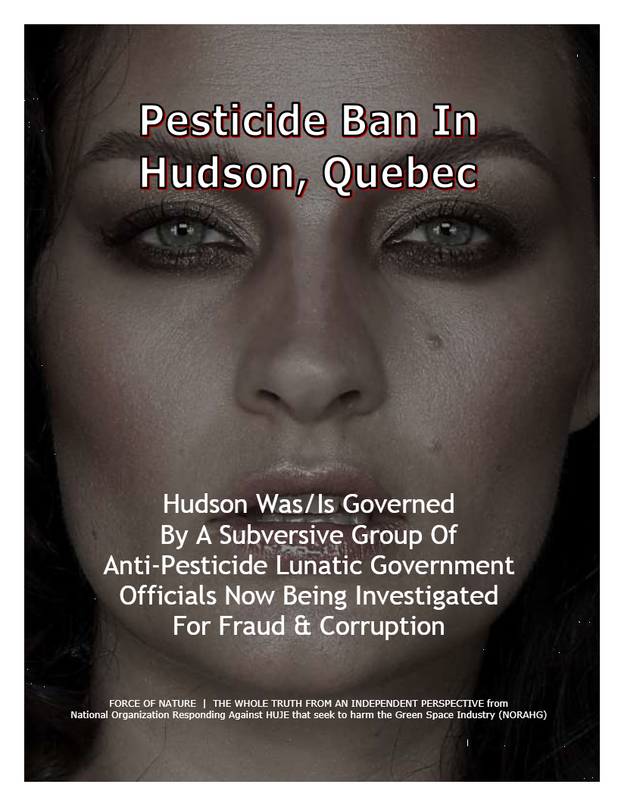 In the 1990s and 2000s, Politician Jack Layton and other Anti-Pesticide Lunatics CONSPIRED TO IMPOSE PROHIBITION against pest control products in the Town of Hudson, Quebec. These officials easily capitulated under the pressure of a mere handful of Anti-Pesticide Lunatic-Terrorists who included Jack Layton, June Irwin, and others. 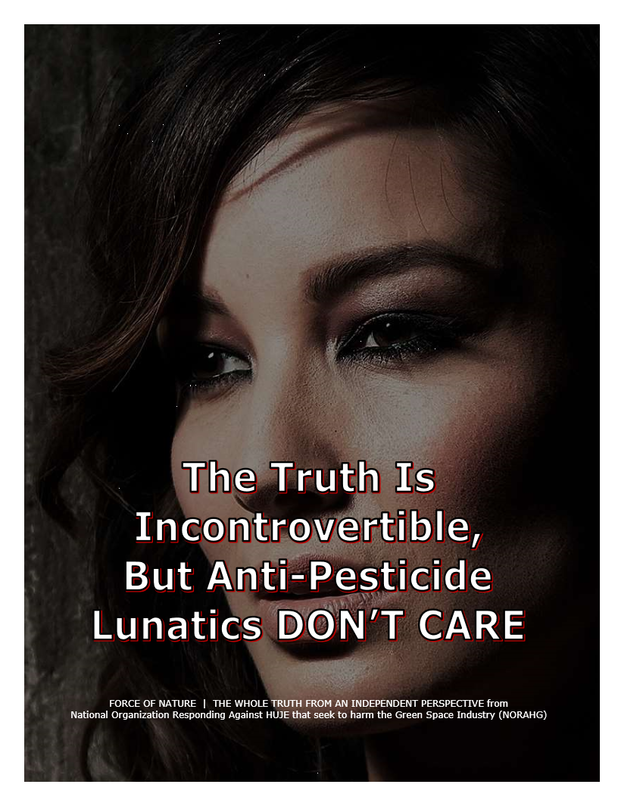 In 1991, Hudson ARBITRARILY IMPOSED PROHIBITION against the use of pest control products, like 2,4-D Herbicide, that were otherwise HEALTH-CANADA-APPROVED, FEDERALLY-LEGAL, SCIENTIFICALLY-SAFE, PRACTICALLY-NON-TOXIC, and CAUSED NO HARM. On May 25th, 2011, the Hudson PROHIBITION WAS INVALIDATED when the Government of Quebec was HUMILIATED INTO PUBLICLY ADMITTING that « 2,4-D DOES NOT POSE AN UNACCEPTABLE RISK to human health or the environment ». The council may make by-laws to secure peace, order, good government, health and general welfare in the territory of the municipality, provided such by-laws are not contrary to the laws of Canada, or of Quebec. Clearly, the Hudson PROHIBITION CONTRADICTED provincial and federal law. The Agriculture and Golf Industries were SPARED FROM PROHIBITION, and PROVIDED WITH AN EXCEPTION STATUS ― thankfully, Mr. William H. Gathercole crafted the original Golf Industry Exception Status, which endures to this day for virtually all jurisdictions in North America. 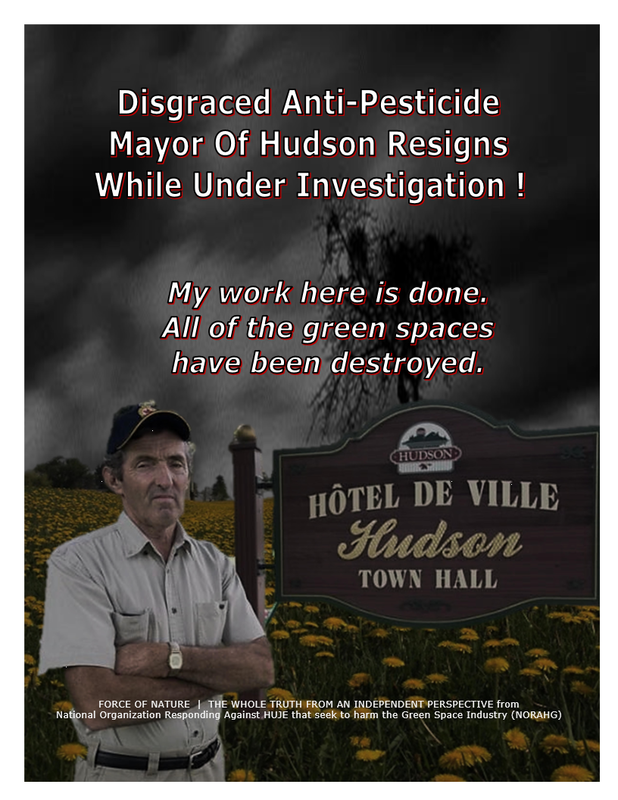 By 2013, several of the Lunatic Government Officials who CONSPIRED TO ARBITRARILY IMPOSE PROHIBITION, including Anti-Pesticide Mayor Michael Elliott, were DISGRACED and FORCED OUT OF OFFICE while being INVESTIGATED FOR FRAUD AND CORRUPTION. All of the green spaces have been destroyed. Co-President of Tactix Government Relations And Public Affairs Inc.
Brian Lilley is among several LEADING POLICY EXPERTS, COMMENTATORS, and ELECTED OFFICIALS who have publicly stated, in one form or another, that pest control products are SCIENTIFICALLY-SAFE, and that ARBITRARY PROHIBITION against pest control products used in the Urban Landscape is NOT NECESSARY. Lilley is a connected journalist who is on the side of Canadians who value their individual freedoms and responsibilities over intrusive government. Lilley is the host of Byline on Sun News Network, which showcases Lilley’s irreverent style and his stance as a cultural warrior ― ENOUGH ALREADY ! Sun News Network, which is also referred to as Sun News, is an English language Canadian Specialty Television News and Opinion Channel owned and operated by Quebecor Media through a partnership between two of its subsidiaries, TVA Group and Sun Media Corporation. Sun News’ daily schedule emphasizes news reportage and breaking news coverage during the daytime hours before turning to personality-driven analysis and commentary programmes, such as Brian Lilley’s Byline, during the evening hours. Lilley is also a Senior Correspondent for Sun Media’s Parliamentary Bureau in Ottawa, Ontario. As a Columnist, Lilley’s work is published in more than 30 daily newspapers across Canada, including Calgary Sun, Fort MacMurray Today, Kingston Whig-Standard, London Free Press, Sarnia Observer, and Toronto Sun. In 1993, Lilley graduated from Mohawk College, and earned a Diploma in Broadcast Journalism. 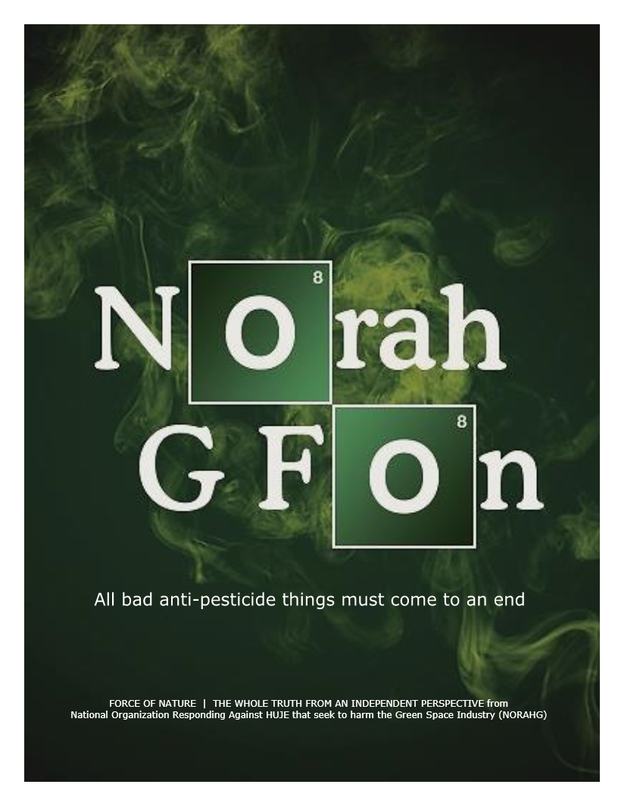 Read … Force Of Nature and Pesticide Truths ― The Whole Truth From An Independent Perspective.